Mike served thirty-five years with the Toronto Police Service. He retired in May of 2008 having attained the rank of Sergeant. From 2000 until his retirement, Sgt. Babineau was the Senior Firearms Instructor for the Toronto Police Service and Administrative assistant to the Armament Officer and as such was responsible for developing and delivering firearms training and tactical training exercises for all Toronto Police Officers. Prior to this appointment, Mike served 6 years with the Toronto Police Emergency Task Force (SWAT Team) as a supervisor of special weapons teams and was a member of the Explosive Disposal Unit. In this capacity he participated in the resolution of over 185 high risk incidents including gun and offensive weapon calls, hostage and barricaded person situations and high risk warrant service. Mike also has 22 years experience performing general police duties including various uniform and investigative assignments. Mike is the recipient of several awards including the Canadian Police Exemplary Service Medal and Bar. He is the recipient of two Commendations from the Chief of Police, as well as 37 letters of commendation. Mike holds instructor ratings on numerous small arms and less-lethal weapons including O.C. spray and the Advanced TASER. In addition, he is certified as an Armourer for the Glock series of Pistols and Ar15/M4 Carbine. Mike’s many other qualifications and/or certifications include weapons technician and instructor ratings on a variety of weapons. 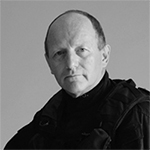 Mike is an Ontario Use of Force Instructor, ASP baton instructor, rappel instructor, defensive tactics instructor, EOD Technician, post blast scene technician, hostage negotiator , ARWEN (Anti-Riot Weapon Enfield) armourer and instructor, as well as drug investigator. In 2003, Mike was appointed a Provincial Constable for the Province of Prince Edward Island mandated to instruct firearms and Tactics at the Atlantic Police Academy. Nir served in one of the most elite units in the Israeli Special Forces, the Central Command Counter-Terror Unit (C.T.U.) and the Special Forces Counter-Terror and Special Operations School (C.T.S.O). During his service he held several positions including Commander of the Counter-Terror School’s International Training Section where he was responsible for developing and delivering specialized Counter-Terror, Hostage Rescue, and Krav Maga training to Special Forces Units from various countries around the world including the United States (Army Special Forces, Marines Special Operations Command, Rangers and Asymmetrical Warfare Group), that attend the Israeli Special Forces Counter-Terror and Special Operations School in preparation for high risk deployments such as Iraq and Afghanistan. He also held the position of Lead Counter-Terror Instructor on the Counter-Terror School’s Designated Hostage Rescue Take-Over Units Instruction Section, where he was responsible for training new recruits and active operational members of the Israeli Special Force’s Designated Hostage Rescue Units in all areas of Counter-Terror warfare and Hostage Rescue including Hostage Rescue Operations in domestic and foreign/hostile environments, Close-Quarters-Combat, Dynamic Entry, Aircraft, Ship, Train, and Bus Interdiction, Suicide Bomber Interception, Urban Warfare, Tactical Shooting, and Krav Maga. Nir was also assigned to the C.T.S.O. School’s Chief Instruction and Research and Development Section where he was responsible for enhancing and developing operational Counter Terror tactical methodologies that are currently deployed by all Israeli Special Forces Units. Some of the methodologies he developed or enhanced for the Counter Terror School include: Active Shooter Intervention in open terrain, Fighting in Built Up/Urban areas, Deployment of the Ballistic Shield in Urban Warfare, and Single Operative Combat Tactics. His duties in this section also included training the C.T.S.O. School’s instructors in Counter-Terror Warfare, Tactical Shooting, and Krav Maga. Additionally, he also held the position of Operational Team Leader on the Central Command Counter-Terror Unit during high-risk deployments which included Direct Action Operations, Active Shooter Interventions, Arrests of high threat terrorists, and high risk entries and searches throughout the West Bank and Gaza Strip regions. In April 2009 Nir was awarded the Israeli Defense Force Ground Forces Command Soldier of the Year Award of Excellence for his service. Nir is a certified Provincial Use of Force Instructor through the Ontario Police College (OPC) and a certified Police Tactical Operations and Use of Force Instructor through the Atlantic Police Academy in Prince Edward Island Canada where he was a sworn Police Constable working as a Tactical and Use of Force Instructor. He is a Tactical resource to the Ontario Police College and assisted in enhancing OPC’s High-Risk entry methodology currently taught to all Police recruits. He also has over 32 years of extensive Martial Arts and Unarmed Combat experience in Israeli Krav Maga, Jeet Kune Do, WTF Tae Kwon Do, and Hap Ki Do. Nir served as an operational member on a Nuclear Tactical Unit for the Government of Canada and is currently a Sworn Peace Officer for the Province of Ontario on a Judicial Enforcement Agency, a Reserve Police Officer with a Tribal Police Department in the United States, and the appointed Managing Director of the Canadian Tactical Officers Association. Another one of Nir’s areas of expertise is Close Protection. Since 2000, he has been in charge of deploying Close Protection details for representatives of the Israeli Government travelling to Canada for political functions. Nir has also been in charge of protecting various celebrities including Morgan Freeman, Alanis Morissette, and Mike Bullard. He continues to deliver Counter-Terror, Active Shooter Intervention, Tactical Shooting, and Krav Maga training to Police and Military organizations around the world. To date, he has trained thousands of Special Forces Soldiers, Police Tactical/SWAT Officers, Police Officers, Customs and Immigration Enforcement Officers, Tactical and Armed Security Officers, Close Protection Agents/Bodyguards, and Instructors in all those fields from various Countries around the world including Canada, the United States, Israel, and others. Born of a father who was a dedicated civil servant, proud to hold the responsibility of keeping the streets of Toronto safe; and a mother who had the gift and the ability to teach music (and who still performs to this day), Mr. Valois so carries the torch of policing and teaching, leaving the mark of his heritage and ancestry on everything he sets out to do. Like his father before him, Mark joined the Toronto Police Service as a young man, barely out of school. During his 25 year dedication to the Service, Mr. Valois accepted any training that was offered to him, and continued to seek more. This thirst for knowledge equipped him with the tools necessary to penetrate into many specialized sectors of policing, which lead to a varied career. Mark Valois has a world of first-hand experience, the kind that would enable him to later teach his skills to new recruits and seasoned officers alike. These experiences would further lead to the re-writing of the entire curriculum for the Ontario Police Foundations Program, which is currently taught at Ontario Colleges and will assist the graduate for hire with any police service across Canada.Mr. Valois, a qualified and experienced Hostage Negotiator, as well as a Certified Provincial Use of Force Instructor, was involved with several integral units of the Police Service during his career.To name a few:Drug Investigation Major Crime Criminal Investigation Bureau Motorcycle Gang Intelligence Zone Investigative Unit Morality Bureau Intelligence Court Bureau Uniform Patrol Area Foot Patrol Public Relations Traffic Enforcement Technical Coordinator Team Leader – TrainingDuring the last 9 years with the Toronto Police Service, Mark was a Coordinator/Team Leader for the Officer Safety Section of the Training College for the Toronto Police. He was the Chief Instructor, designing, authoring and implementing course-training standards for the entire service. Mark has a martial arts background and further to this, he has absorbed the specialized skills developed on the job, Mr. Valois did extensive studies in adult education, along with obtaining intricate computer knowledge in database programming, network and presentation management. These are complimentary assets indeed, as he has since trained thousands of individuals in both private and corporate sectors in the fields of policing, security and personal safety. He has earned several awards of commendation, an exemplary medal and many letters of appreciation for his contributions to policing.Upon leaving the service, Mr. Valois became a member of the Advisory Committee of Ontario Police Foundations and was employed by a Provincial Community College as the Coordinator of their Police Foundations Program. One of his major accomplishments was the complete re-writing of the Curriculum, which is now the Provincial standard for Police Studies. 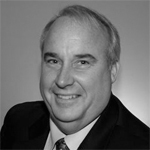 Stephen T. Sadler was born and educated in Toronto, receiving a Bachelor of Arts degree from the University of Toronto and a Teaching Effectiveness Certificate from Humber College. In addition to his post-secondary education, Stephen received the Queen’s Commission and served as an Officer in the Canadian Armed Forces Reserve as an Armoured Troop Commander and facilitated training in both weapons and tactics during his military service. Stephen has been a serving Police Officer in the City of Toronto, currently entering his 30th year, 19 years of which have been spent in a Supervisory role as a Sergeant. Stephen’s experience has included long periods in both the investigative and tactical fields, and he has extensive tactical and firearm’s training. He has coordinated and conducted training in Crowd Management and Public Order Tactics, training Municipal Police Services throughout Canada and the State of Kentucky. Stephen is a certified instructor in both Less Lethal Munitions and Chemical Weapons and is an Instructor for the Public Order Obstacle Removal Team. Stephen has a background as a certified Instructor for Emergency Management programs, both at the Municipal and Provincial levels, with the Incident Management System and Basic Emergency Management programs. 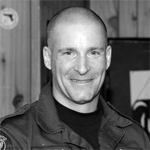 Stephen has had prior expertise as a Search Manager with the Toronto Police, and is a Nationally certified HUSAR (Heavy Urban Search and Rescue) Instructor, a Nationally certified Search and Rescue Instructor and an Internationally certified ITLS (International Trauma and Life Support) Instructor. He is currently accredited as an Affiliate Faculty member with ITLS Ontario, and is a part time faculty member at Centennial College. During 2011-2012, Stephen was seconded to the RCMP and spent a year working for EUPOL (European Union Police) in Afghanistan as a mentor and advisor for the Commanding General of the Afghanistan National Police in Badakshan Province. During this mission, he co-developed and facilitated three Policing programs, as well as provided training to Senior Police officers for the Afghanistan Police. After the Afghan Mission in 2012, Stephen spent 2 years in the Critical Infrastructure and Counter Terrorism Section at Emergency Management and Public Order. In this role, he worked with Intelligence Units both in Toronto and Nationally, and liaised with both public and private sector partners in relation to Critical Infrastructure within the City of Toronto. In 2014, Stephen joined the Toronto Police Service CBRNE (Chemical/ Biological/Radiological/Nuclear/Explosives) Response Team. Stephen is certified as a Police Explosives Technician, a CBRNE Technician and is Clandestine Lab certified. Stephen has filled the role of Training Sergeant for the Unit, and is currently the Operational Sergeant on one of the Teams. These Teams respond to all forms of explosive calls, suspicious packages and unknown powders and will assist as required with the Clandestine Lab Team of the Toronto Drug Squad. A career combined of 30 years military and law enforcement including SWAT. Over 15 years experience in developing, teaching and supervising Provincial Use of Force training, including less lethal training and defensive tactics. Mike specializes in firearms training for duty pistol, shotgun, carbine rifle and sniper rifle. An accomplished and respected competitive shooter having represented Canada at the Can-Am Games, World Police Games, Ontario Tactical Advisory Board Competitions and other local tactical, IDPA and operational competitive events. Simon Borys received his undergraduate degree in Philosophy, Legal Studies, and Criminology from the University of Waterloo. He began his career as a sworn police officer in 2006, in Ontario, after having spent 2 years as a dispatcher. After several years as a patrol officer he left the Service to attend law school at Queen’s University, where he graduated in the top 10% of his class. 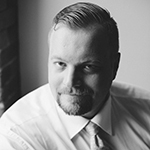 He now practices law as a criminal defence lawyer at his own firm, Borys Law, in Kingston, ON, where he specializes in defending police officers throughout Ontario on criminal and Police Services Act allegations, SIU investigations, OIPRD complaints, and Criminal Injuries Compensation Board claims. Simon is actively involved in continuing legal education and often speaks to police and correctional officers, as well as other lawyers, on a variety of legal topics, including use of force. 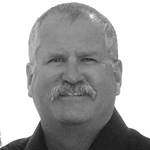 Simon has always maintained a strong interest in firearms and has received training in Canada and the United States. Marc Dugas is a veteran paramedic with 16 years of experience at Toronto EMS. He has 12 years of service as a medic with the Toronto Police Public Safety Unit, and has been a certified CBRNE technician with the Joint Toronto CBRNE team since 2003. 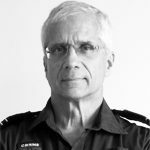 His experience as a trainer includes International Trauma Life Support, First Aid/CPR/Defibrillator/Oxygen, Sunnybrook Base Hospital, and 12 years as a Field Training Officer with Toronto EMS. Marc has certification in tactical emergency medical operations, defensive handgun techniques, tactical rope and rescue, SCBA, and multiple certificates in CBRNE. He also publishes a bimonthly CBRNE newsletter, THREAT WATCH, relating to terrorism issues in addition to the Canadian Tactical Officers Association newsletters and associated bulletins.